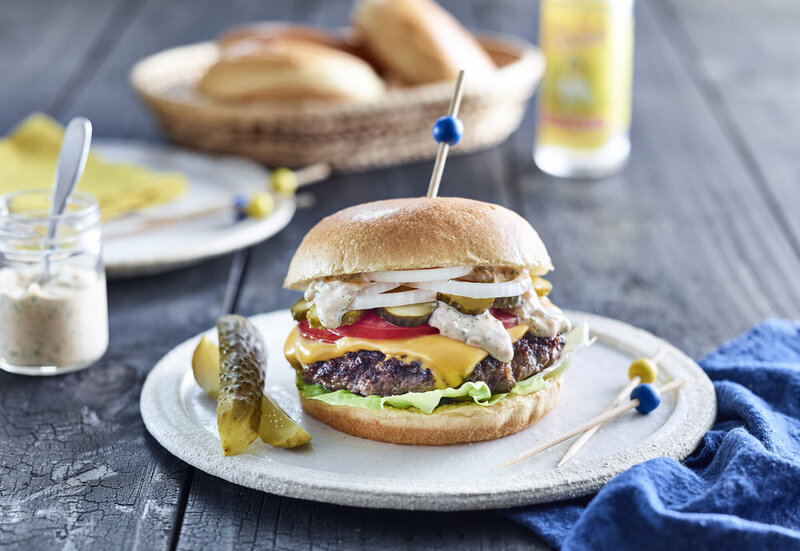 Best ever cheeseburger with Hellmann's Mayonnaise burger sauce – made the Hayden Quinn way! For a really great taste, try and use coarse ground mince from a butcher. If you are super keen try mincing your own beef. Brioche buns make a tasty change from burger buns. 1. To make the burger sauce; dollop the thick and creamy mayonnaise into a medium sized bowl, add the remaining ingredients and mix well to combine. This sauce can be made ahead of time and stored in the fridge (old majo jars are great for this!). 2. To make the burgers, gently shape the mince into six even patties using wet hands. Be gentle and do not over work the meat. Place shaped patties on a lined try and cover with cling wrap, leave in fridge for at least 30 mins to firm up. 3. Season patties well on both sides with salt and pepper and add to a medium high BBQ or pan. For best results, cook your patties on the BBQ flat top or, alternatively use a large heavy based non-stick fry pan – this cooks the patties evenly – like they do at your favourite burger joint. 4. Cook on one side, flip once and add cheese to the top. Finish it off to medium rare (or to your liking). 5. 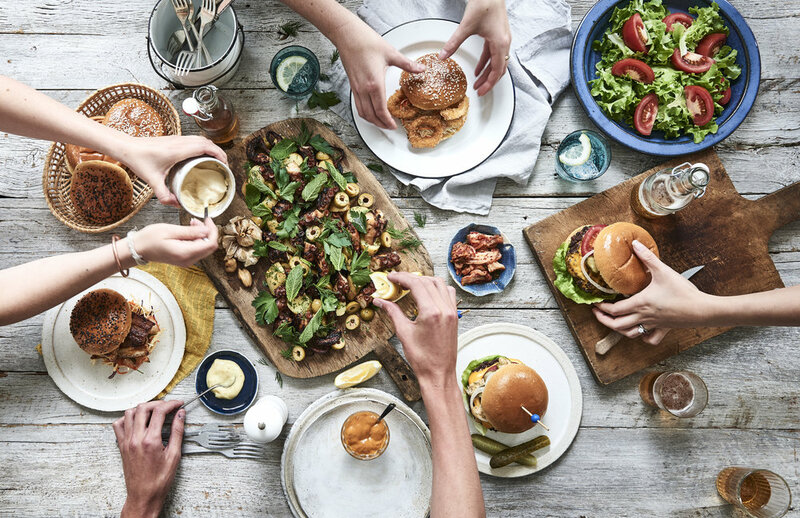 To assemble your burger, lather both the top of the bun with the moorish and oozy special Hellmann’s burger sauce, followed by the patty with melted cheese and topped off with your choice of fillings; sliced white onion, pickles, tomato slices or lettuce.